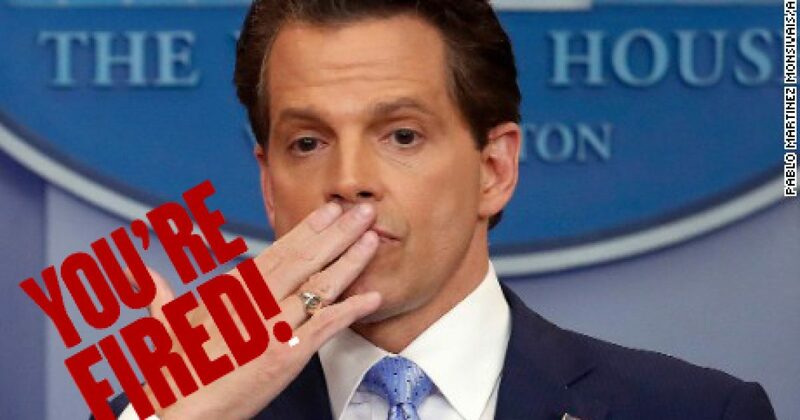 Anthony Scaramucci FIRED after only 10 Days!! 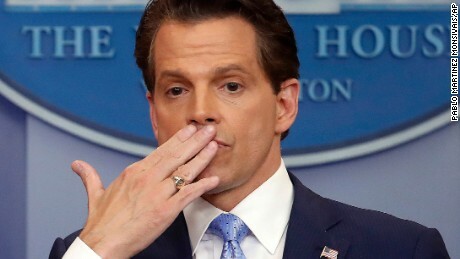 (CNN)Anthony Scaramucci is out as White House communications director, two sources tell CNN. GENERAL JOHN F KELLY DEMANDS CLEAR CHAIN OF COMMAND. This is the latest high-profile departure from the Trump the White House. Chief of Staff Reince Priebus resigned at the end of last week. He was replaced by John Kelly, whose first day is Monday. Several sources say General Kelly is a man of stern discipline and demands a very clear chain of command. As a former Marine, General Kelly would expect the pecking order to be established from DAY ONE!! General Kelly is also a man who will demand loyalty and excellence from his subordinates. It is reported that Scaramucci said he would report directly to the President and no one else. As a military man, Kelly would never stand for that sort of insubordination. SCARAMUCCI TOO VULGAR FOR THE WHITE HOUSE. Wait, hold the phones. You mean you can’t curse everyone out that disagrees with you or degrade and humiliate them and still have them think you’re a “Stand Up Guy?” What a shocker!!! This must’ve been a real wake up call for Scaramucci. Scaramucci, a colorful and controversial figure, was immediately accepted and adored by many. He was brought on during the latest in a long list of White House shake ups that have rocked the presidency with an odor of chaos. Scaramucci is the third White House Communications Director to leave the post that had been vacant since late May when Mike Dubke left after about three months on the job. Sean Spicer, the former White House press secretary, also assumed some of the Communications Director roles before he resigned when Scaramucci was hired July 21. WHAT IS THE CHAIN OF COMMAND IN THE WHITE HOUSE? People elected President Trump because he is a no nonsense man of intelligence and a man of decisive action. A man like this must surround himself with those of equal strength who can also instill order and create an environment of excellence. This is crucial for THE OFFICE THE OF THE PRESIDENT OF THE UNITED STATES to be effective and efficient. There has been the appearance of chaos from within the White House from the onset, including a record number of leaks. Some of those leaks were from VERY high up, including those from former FBI Director Comey. This plus the constant onslaught of “Fake News” and attacks from the left have made it very difficult for this administration to make any lead way. In spite of all this, Trump continues to set records on progress and continues to serve the people. Some are wondering exactly what is the correct order of the CHAIN OF COMMAND. The Legal Eagles. 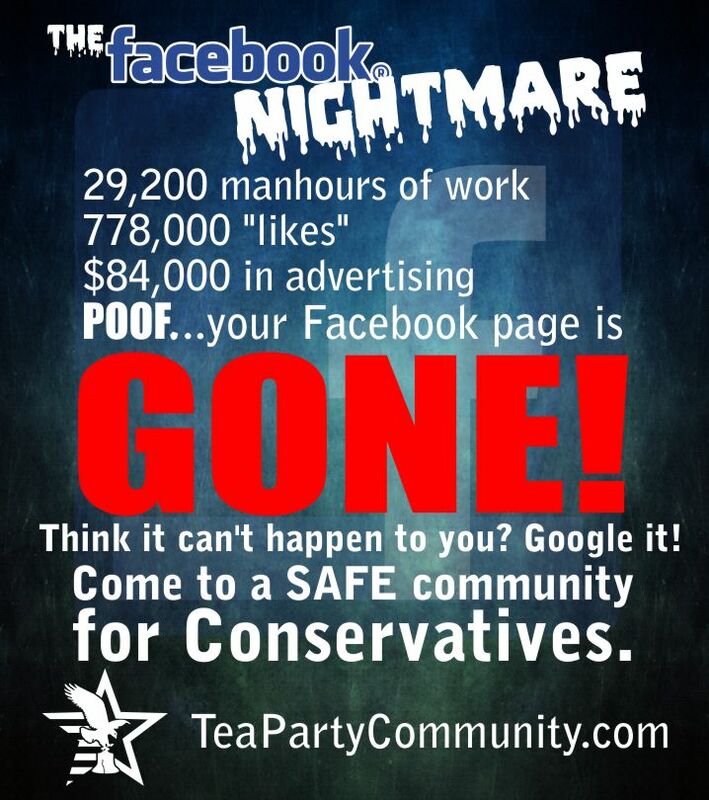 EVERYTHING must go through them. 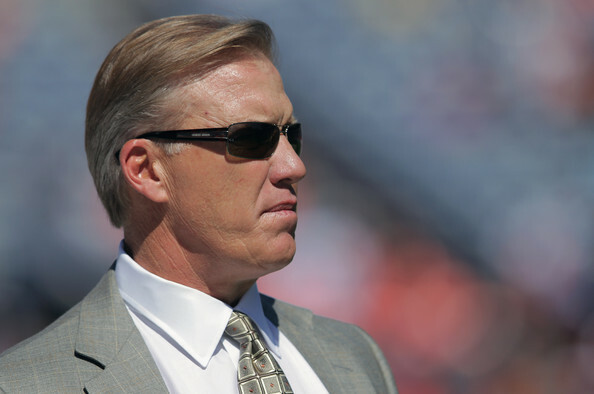 We nominate John Elway of the Denver Broncos. So, what does a Communications Director actually do? Well, one thing they DO NOT DO is appear on TV every day. Nor do they make vulgar comments about others on the team in a public and degrading way. What the Communications Director SUPPOSED TO DO is simple. They are to coordinate the narrative, sync talking points and create an effective surrogate program. The Communications Director is basically the QUARTERBACK OF COMMUNICATIONS. They are empowered to create a White House Team of Players that KNOW THE PLAYS and FOLLOW THE PLAYBOOK day by day. Maybe the next Communications Director will be the former “All Star” quarterback of the Denver Broncos, John Elway. Who wants to call the legendary quarterback and nominate him?